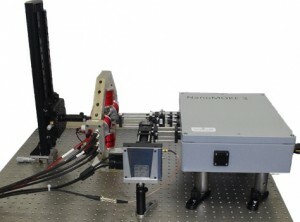 A NanoMOKE3 has been successfully installed in the Paul Scherrer Institute (PSI) in Switzerland. PSI is the largest research centre for natural and engineering sciences within Switzerland. The machine will be used to characterise magnetic films and nanostructures within the Laboratory for Micro and Nanotechnology. It includes our new add-on CCD camera for high quality domain imaging.